Korean shamanism believes in animism. They believe that everything in the universe is alive. Korean shamanism believes in the spirit world. Sprits are the ones who guide the people. There are women shaman who act as mediators between the spirit world and reality. They build shrines to the different spirits of nature and place food and flowers as offerings. The women shaman allow powers of nature to take over her body in order to solve problems or heal the sick. When a child was born women shamans were there to make sure everything went well, and also to pray to the spirits. A string was tied over the door of the home in order to keep bad spirits away. At the age of 7 the God of the seven stars governs his or her life. On the 7th day of the 7th month of the 7th year the child was born, he or she had to visit and exorcist who writes the child's name and birthdate on paper and puts it on the alter of the God of the seven stars. After the ceremony, the exorcist becomes the child's foster mother. Sarfati, Shai. Korean Shaman. January 16, 2011. Youtube. 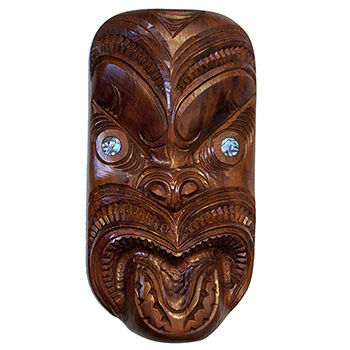 Before there was contact with outside cultures, the Māori religion was based on the important concepts of mana and tapu. Mana and tapu relate to both people and the natural world. They are connected to each other because many view tapu as the mana derived by the Gods. Mana is an impersonal force that can be both inherited and acquired by individuals in the course of their lives. Tapu refers to sacredness that was assigned by status at birth. Tapu takes place when mana is expressed. For example, mountains that were important to particular tribal groups were often tapu, and the activities that took place on these mountains were restricted. It said that tapu controlled how people behaved and that tapu protected the people and their natural resources. Tapu is a sacred Māori code, which is sort of the same concept as the ten commandments in the Catholic religion.